With so many videos out there on the Internet it’s incredibly important that your video is found and watched by the people you made it for. The best way to make sure this happens is to use ‘Video SEO’. 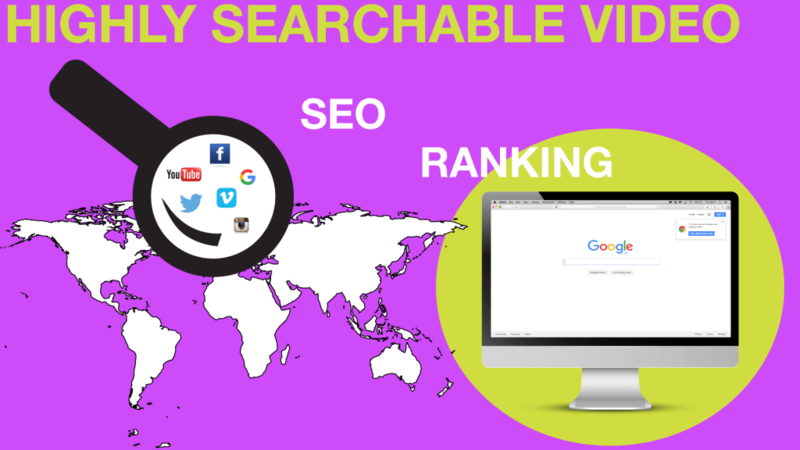 In this blog post we explain how to make your video highly searchable online. Before uploading your video, research is needed. It will help you figure out the method you will need and how you are able to do it. Where is your Target Audience based? Why would your Target Audience be interested in your video? How to get them to interacted and share your video? but there is a 24 hour window where Youtube will give you a higher rating based on the number of Comments, Embeds, Likes, Views, and Shares your video has. Obviously don’t stress yourself out trying to get these interactive impressions onto your video straightaway, you will have time after the 24 hour window. It is just a fast track into getting your video to the top of the recommend video list. Youtube love when your video is interactive. It shows them that your video has a following and produces interesting or desirable content. Youtube promote videos that have a community on it. Comments + replying to them + using comments to produce next video. Upload customers video’s onto your channel as it will have more authority behind or charge extra to use their own channel, as you will need to create authority plus use SEO. When promoting your video remember to share it over a variety of platforms for example Youtube, Facebook, Twitter, Google+ and Vimeo. The greater the spread of your video on the cyber world, the higher your chances of having a highly searchable video. Most views come from outside of youtube, the more successful Youtubers use Backlinks (Links to your Video from a website), as Google looks out for them, plus websites with authority and big domain. Another option is to rent space on websites for your link. Although this could mean paying out for advertising, it is a small price in creating a backdoor to your home at Youtube. SEO is a three letter acronym short for Search Engine Optimisation. Search engine optimisation about trying to rank higher in search engines. phase. Try to only use 3-5 Keywords, as it will help Google/Youtube rank your video and categorise it efficiently. Watch time – youtube value watch time. The higher the average watch time, the more interest and rating Youtube will give you.